Barossa Functions & Events Venue. Wedding Function Rooms. Château Tanunda is the Barossa. This majestic bluestone winery and vineyard property is a living testament to the colourful history and pioneering spirit attached to Australia’s pre-eminent wine region. Now, thanks to the passion and dedication of its new owners, the Geber family, this iconic Barossa estate is celebrating a new lease of life. 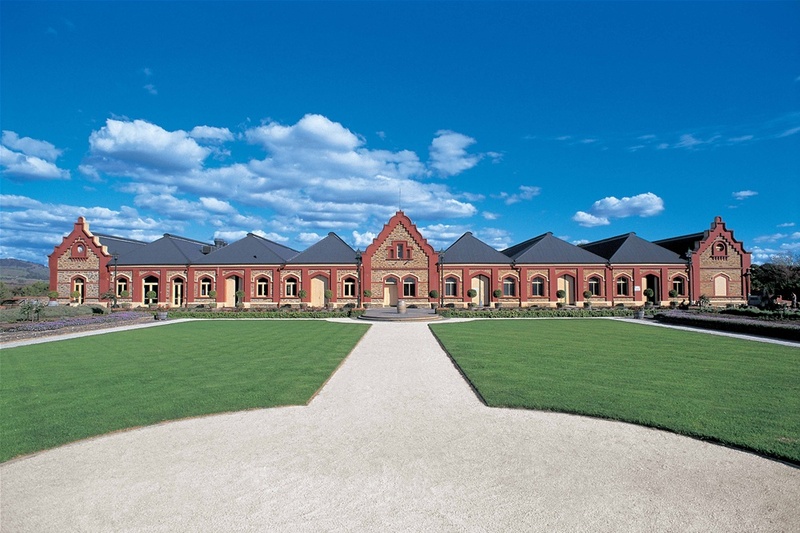 Château Tanunda’s origins go back to the 1860s and the decimation of Europe’s vineyards by the phylloxera plague. Sensing opportunity in Europe’s pain, the three founders of Château Tanunda built a Bavarian-style Château dedicated to the production of fine quality wines. European immigrants had been planting vines in the Barossa since the 1840s, so the region was a natural choice. The resulting wines, made from grapes produced by 560 local growers (paid a pound per gallon – a substantial sum at the time), were transported on company-owned ships to a wine-starved Europe. Château Tanunda’s success was the Barossa’s success. For years it was the heart of Barossa winemaking. On the rafters you will see some of the most famous names in Australian wine history, past and present, all of whom have worked at the Château. 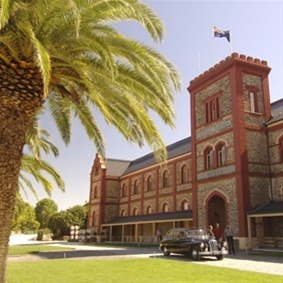 In 1994, in recognition of its rich history, Château Tanunda was placed on the Register of State Heritage Places – but by then its glory days were a memory. Abandoned by its then owner, Australian wine giant Southcorp, the property was a shell of its former grandeur. When John Geber chanced upon it in 1998, and bought it a day later, he embraced the challenge of restoring this magnificent property to its iconic status. We invite you to discover the wonders of Château Tanunda's history by learning about the original custodians of the estate, the Seppelt family history, and more recently the revival of the Château through the Geber family.